ELA Specialist Tricia Parker shares experiences from her time in the classroom that illuminated the importance of having high-expectations for all kids and the materials and resources needed to meet students needs. During my eight years as an elementary school teacher I clearly recall one of the first times I conducted initial conferences with each student. One of my students looked down at her desk and said, “I’m not very smart. I really can’t read good, and I know that I’m not going to be your favorite student.” I felt heartsick for this student who was not only attempting to set my expectations for her, but was clearly defining her beliefs about herself. If you’ve ever been in the classroom, this is not a shocking story. Kids internalize their challenges in school as if failure is their fault without understanding that the system isn’t always set up for them to succeed. We all know a number of factors can cause a student to fall behind whether it’s challenges in her living circumstances, a lack of differentiation for her learning style, or poor instructional materials in her classroom. I assured this student that she was just as smart and capable as her peers and that we would work really hard together to help her improve both her reading and her beliefs about her abilities. But she was right on one count—she wasn’t reading on grade level and was in fact four grades behind. Fast forward to the end of the year, and this little girl was not only reading on grade level, but she was talking with other students about ways to improve their reading. Her growth was inspiring and only possible through her own hard work as well as a collaborative effort with other teachers who would not accept the status quo. Today, a plaque hangs in my office that was a gift from this student. It reads, “Because you believed in me, I believed in me.” Truer words have never been spoken. This student taught me the importance of a growth mindset, high expectations, and the how materials can provide integral support for students who have the potential to read at grade level but are still struggling with the content. This summer, I thought about this little girl when I co-presented at the International Literacy Association 2018 Conference about how to get the best English Language Arts materials and resources into the hands of teachers. During the session, educators were candid about what happens when teachers don’t have the right tools and supports. We learned how tough it can be to teach to high standards when educators are without quality materials to guide their instruction, and we heard about the inevitable impact on students. Educators described the difficulty of teaching the instructional shifts in the standards. They also noted that tackling complex texts with students becomes an even larger challenge if the materials schools provide don’t already have complex texts as a part of their program. Not surprisingly, we heard that it was easy to return to old practices if curriculum wasn’t aligned to the standards, especially for students who were struggling with reading and the content itself. These same challenges were reflected in the Thomas B. Fordham Institute’s most recent study about the state of reading and writing instruction in America’s schools. Throughout the study, teacher access to aligned materials and professional learning around these materials, was key to meeting the standards. Recognizing this fact is a big reason Fordham’s study offers numerous recommendations that focus on the importance of curriculum and instructional supports for teachers including the literacy lifelines they developed to help improve classroom practice. Through my work at EdReports, and my years as an educator, I know that districts and schools face unique challenges with often limited resources to address those challenges. But I also know that there are a wide variety of high-quality aligned materials out there and a growing number of resources to empower educators to make the best curricular choices for their local communities. EdReports’ reviews of K-12 ELA and math programs provide information about which materials are aligned to the standards and which are not while also illuminating key elements of usability and design. Our rubrics and evidence guides can act as a roadmap for districts if they’re evaluating materials we haven’t reviewed yet. We’ve also created a number of supporting resources for every step of the curriculum adoption and implementation process. We even have resources to support districts who aren’t looking to select new programs but want to understand more about the materials already in use in classrooms. I invite you to explore our tips for smart adoption, professional learning, and much more on the EdReports.org website. I have spent the majority of my career working to strengthen ELA standards in the classroom and to ensure teachers have access to high-quality materials to meet those standards. My passion for this work is directly linked to the near-decade I spent as an elementary school teacher. Seeing the impact that English Language Arts and literacy had on my students, especially when I had the resources and tools to reach them, remains my driving motivation to this day. We must keep working to ensure all kids have the very best content in front of them, all the time, and teachers who know how to teach the content in ways that reach students wherever they are. 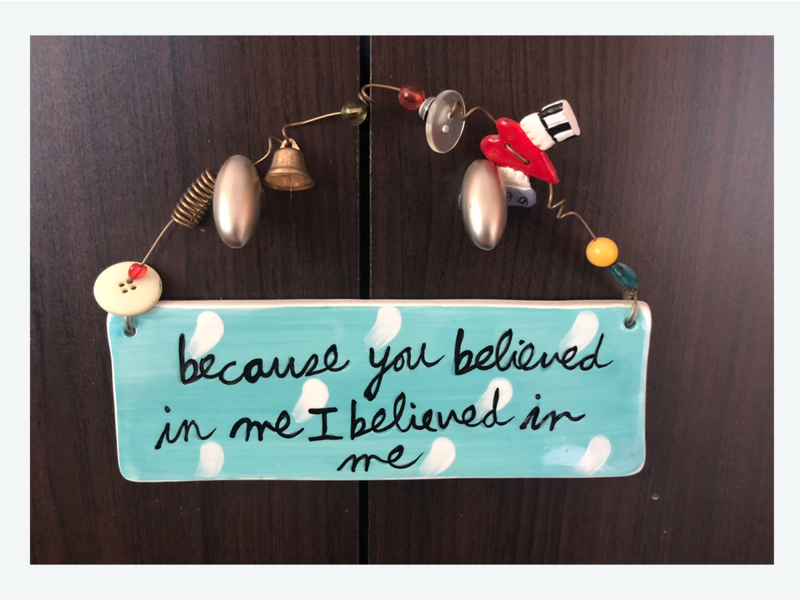 I’ve seen the dramatic impact of high quality materials paired with an unrelenting belief in a student's potential and know that if you believe in students, they will believe in themselves. The following guide helps you to analyze how well your ELA materials are aligned and what adjustments you may need to consider in order to ensure that all students have access to high-quality materials.